A top North Korean official said Friday his country is still willing to talk with the US, responding to President Donald Trump’s abrupt decision to pull out of his planned summit with the North’s leader. Vice Foreign Minister Kim Kye-gwan issued a statement carried by the North’s state-run Korean Central News Agency (KCNA). It came hours after Trump announced the surprise decision to withdraw from his summit with Kim Jong-un set for June 12. "We express our willingness to sit down face-to-face with the U.S. and resolve issues anytime and in any format," he said in the statement. 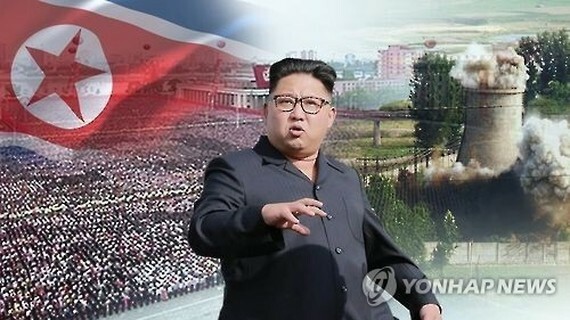 Kim said the US’ decision to cancel the upcoming talks demonstrates how serious the animosity between the North and the US remains, which he said underlines the urgent need of a summit between the leaders of the two countries. He said that the North Korean leader has made all-out efforts to prepare for the summit with the US, saying his meeting with Trump will serve as a good start. "Despite all of this, the US’ unilateral decision to scrap the talks causes us to reconsider whether all of the efforts and the path we have taken is really the right one or not," he said. Kim said that the North remains open to talks with the US. "Our commitment to doing our best for the sake of peace and stability for the world and the Korean Peninsula remains unchanged, and we are open-minded in giving time and opportunity to the US," he said. In a publicly disclosed letter to the North Korean leader, Trump said Thursday night (Seoul time) that the cancellation was due to the "tremendous anger and open hostility displayed in your most recent statement." Trump apparently pointed to the remarks by Choe Son-hui earlier Thursday in which the North’s vice foreign minister lambasted US Vice President Mike Pence for bringing up a Libya-style approach in ridding the North of its nuclear programme and threatened to walk away from the summit with the US. "I want to conclude that President Trump’s stance on the North-US summit does not meet the world’s desire for peace and stability both in the world and on the Korean Peninsula," Kim said.